You have headed off on a well-deserved break in January and given yourself a break from reading your mail. While there is a general festive spirit and goodwill to others amongst some, you should be aware that there are some grinches about who will take advantage of your festive season distractions. Each year I come across clients who have returned from their Christmas/New Year break only to find that someone has left them an unwanted Christmas present in the form of a Statement of Claim, a Statutory Demand, a default judgment or a claim such as a payment claim under the Building and Construction Industry Security of Payments Act which only gives them a limited time to respond (of course the time to respond expired while they were on leave!). Unfortunately these sorts of unwanted Christmas presents cannot be returned to sender or re-gifted to someone else. • Have someone that you trust check your mailbox and read mail over the Christmas and January period. If you have a company you should also check the mail at your Registered Office to make sure that there are no unwanted Christmas presents. 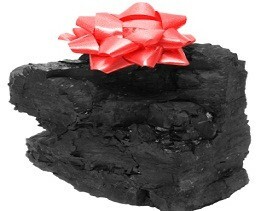 • If unwanted Christmas presents arrive, call your lawyer for urgent advice. • We reopen on 3 January and can assist you deal with the unwanted presents.